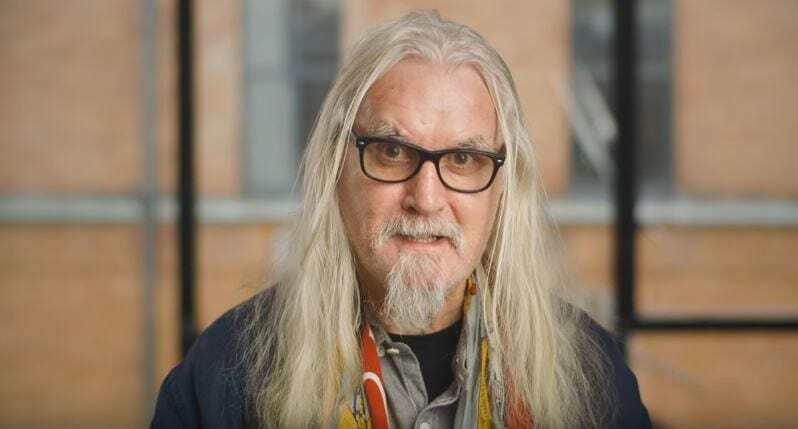 Billy Connolly is known for making people laugh, but in a new video released for Comic Relief, many were left heartbroken by what he had to say. The legendary comedian appeared on the show to encourage viewers to donate in support of those affected by Alzheimer’s and dementia. “Hello, Billy Connolly here asking for your cash. Not for me obviously. I’ve got cancer and Parkinson’s and I definitely need a haircut,” he began. Connolly then went on to introduce Bob, Jo and Margaret, whose lives have all been affected by dementia and Alzheimer’s in different ways. Despite the emotional topic, the comedian was still able to raise a smile in the video. For those who don’t know me, I’m the hilarious comedian with a weird beard who once took all of his clothes off for comic relief. But that’s not what matters, what matters is you at home and this amazing power to change someone’s life. To give them hope and happiness. I really hope you’ll find it in your hearts to give a quid or two to people like Bob. The 74-year-old ended the video by adding that it would be ‘simple and marvellous’ if those watching could spare some money as they’d ‘feel so proud’ if they did. The short clip was released as part of Comic Relief’s #LetsSingAndDance and had viewers overcome with emotion. Billy Connolly making us all cry at what he said ?? I was an emotional wreck during Billy Connolly's section of #singanddanceforcomicrelief ?? So sad ? Seeing Billy Connolly on #LetsSingAndDanceForComicRelief made me cry. He's brilliant. Connolly was diagnosed with Parkinson’s in 2013 just weeks before he had successful surgery for prostate cancer. While there isn’t a cure for Parkinson’s yet, Connolly had said he takes a ‘screw it, let’s get on with it’ approach to the disease. He believes his attitude and laughter will help him cope with his frailty.